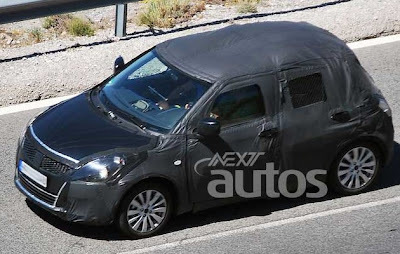 NextAutos.com is has captured some photos of the next-generation Suzuki Swift testing. Wearing European plates, the Swift was camouflaged, although you can get a decent look at the overall shape. NextAutos.com is reporting that the vehicle will be headed here—I certainly hope so! Now that the Kizashi has debuted, hopefully American Suzuki will concentrate on launching the Swift for North America! Check out NextAutos.com's Web site for more. I have no idea how it drives or anything, but... IT LOOKS AWESOME in person! They're pretty popular here in Northern Japan. I was actually disappointed when I found out the US didn't have the Swift when I checked.